Santa Monica is a community with a strong sense of place, distinction, and character. 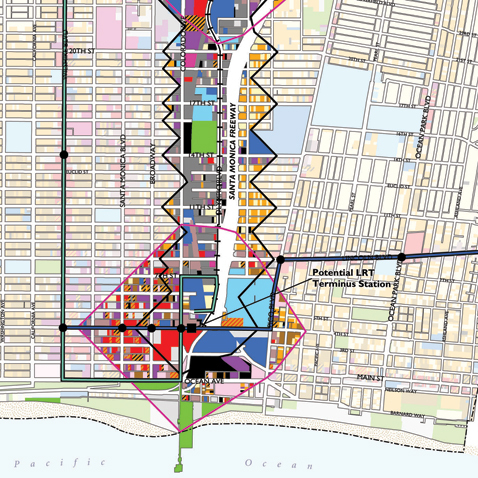 The City has been a leader in the development of new planning approaches that combine a concern for providing housing, transportation and other opportunities for a diverse population, while fostering pedestrian-scaled environments, sustainability, and preservation of the community’s character and heritage. Dyett & Bhatia led the extensive public participation and development of the preferred strategy that culminated in the adoption of the LUCE in July 2010. 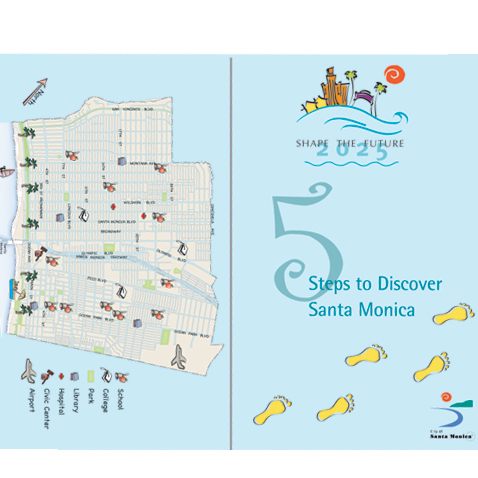 Outreach efforts led by D&B included workshops and forums where 2,500 community members participated, and a mail-in “Discover Santa Monica Guidebooks” sent to every household in the city. Following LUCE, D&B prepared a comprehensive update of the City’s Zoning Ordinance. In addition to implementing the LUCE, objectives included improving the permit review process; creating a more user-friendly, clear and concise document; a regulatory structure that accommodates 21st century uses, activities, and needs; and implementing LUCE provisions that allow increases in height and floor area in exchange for community benefits.